This chic necklace will dress up any casual outfit. 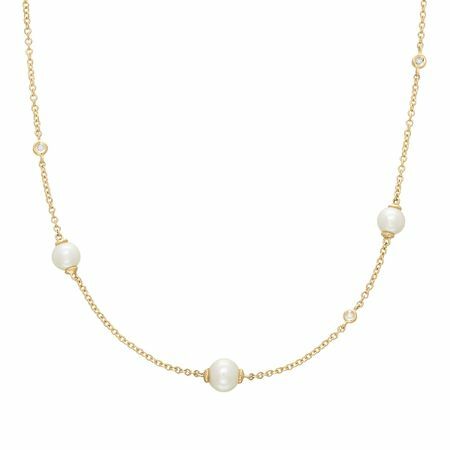 5-5.5 mm freshwater pearls are strung along this dainty chain in stations, brightened with round-cut diamond accents around the piece, crafted in 14K gold. Piece measures 18 inches in length and features a lobster clasp.